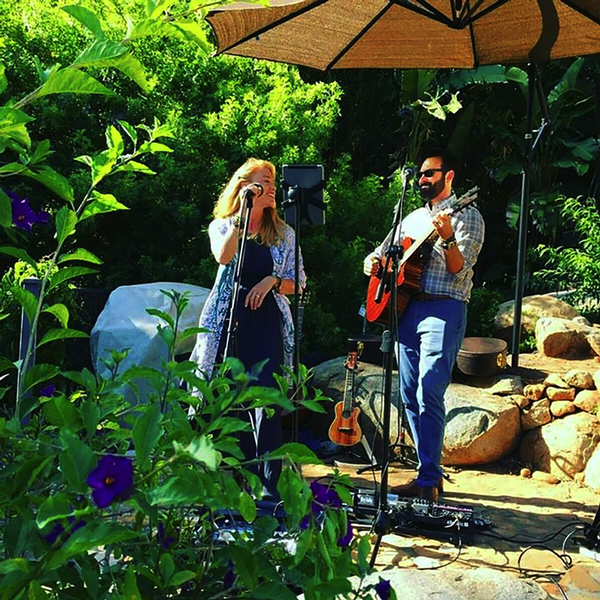 The JourneyBirds is an acoustic duo comprised by Keila Collins and David Jenson. Layering harmonies over acoustic guitar and ukulele, with live looping/sampling and effects pedals, JourneyBirds bring new life to classic acoustic songs across myriad genres. From the Woodstock generation to 70s rock and current hits, the JourneyBirds mixes alternative, folk, country and psychedellia to create an engaging and uplifting musical experience.